It was while Trudy was performing in “Aladdin” starring Karen Kain (Principal Ballerina for the National Ballet of Canada) that Paul Elliott of E&B Productions asked her to become the assistant choreographer for his next production. Trudy very quickly began choreographing shows in her own right. She choreographed for Lionel Blair (English song and dance star) when he came to Toronto and then was asked to direct and choreograph for E&B in England. 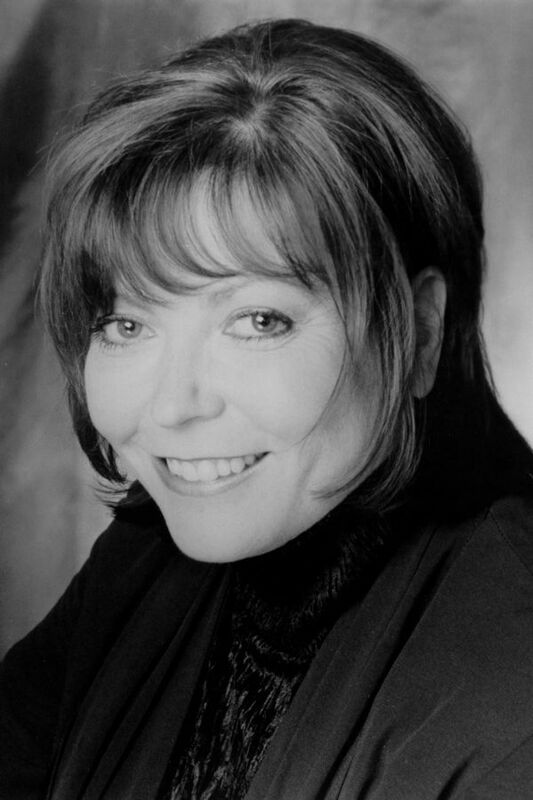 During the 1990s, Trudy spent seven years in England directing and choreographing UK tours, several of which ran in the West End. She became the famed Wayne Sleep’s jazz choreographer (star of the the Royal Ballet and West End). Selected credits include: Bit’s and Pieces (a U.K. Tour starring Wayne Sleep and his Company), Hollywood and Broadway starring Lorna Luft, A Step in Time starring Bonnie Langford, , as well as “The Hobbit”, “The Worst Witch”, “Those Magical Musicals”, “Watership Down” and many more. She was also jazz choreographer for a special West End performance of “Bits and Pieces” where she met the late Princess Diana. When Trudy returned to Canada, she choreographed the Broadway production of “Buddy” at the Royal Alex Theatre in Toronto and the Schubert Theatre on Broadway. She then directed and choreographed “Robin Hood”, starring Karen Kain at the Elgin Theatre Toronto and “Jacob Two-Two” at Young Peoples Theatre, which gained a Dora nomination. Trudy has become known across Canada for choreographing large-scale special events. Some of these include: US Olympic Track and Field Trials in New Orleans, Centennial Edmonton Tattoo, Inferno at the Ex and the Opening and closing Ceremonies for the FIFA U-20 Soccer Tournament at the new BMO Stadium in Toronto. Trudy produced and directed the “Alberta Centennial Tattoo” for the City of Edmonton. This show received a standing ovation every night and fantastic reviews. It was so successful they invited Trudy back the next year to produce a sequel. Trudy also produced and choreographed the “20th Annual Gemini Awards”. She is the founder of Diversified Productions Inc., a Corporate Theatrical	Company which has grown to over two million in sales and produced, directed and choreographed some of the largest corporate events in Canada. The company’s clients include: General Motors, Toyota, London Drugs, Cisco, RBC, Creative Memories, Toronto Tourism and many more. Here diverse career has taken her all over the world including 14 Armed Forces Tours to the Middle East, the North Pole and Europe. Recent theatre credits include producing, directing and co-choreographing (with Wayne Sleep) Andrew Lloyd Webber’s “Song and Dance”. The show was nominated for three Dora Awards including Best Choreography and Best Musical Production. Trudy wrote, directed and choreographed “The Christmas Show” which enjoyed a sold out run at the St Jacob’s Country Playhouse. This followed the 104% sold out production of “Aladdin” which Trudy directed and choreographed in 2006.